Though there is pain, “All is Well”! June 20, 2014 9:55 pm / 2 Comments on Though there is pain, “All is Well”! One of the things about heaven I am looking forward to is never having to say good-bye. 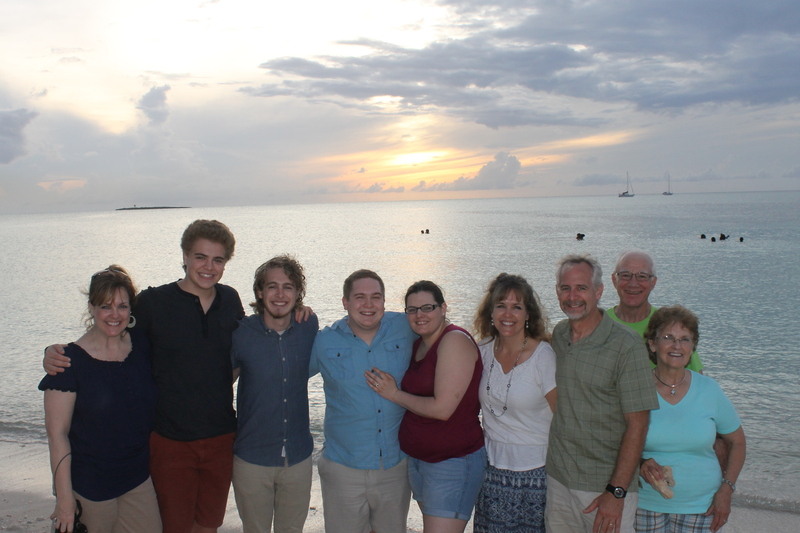 Saying good-bye has been a regular occurrence for us this last year as we have welcomed mission teams, friends and relatives to the island for short visits as well as short term missionary staff serving along side us for brief periods of time. My eyes saw a handsome, mature young man walking away, but my heart saw a sweet little boy going off into the big world all by himself. As painful as it is to say good-bye to family, new friends and visitors, nothing could have prepared me for the pain of saying good-bye to our son. 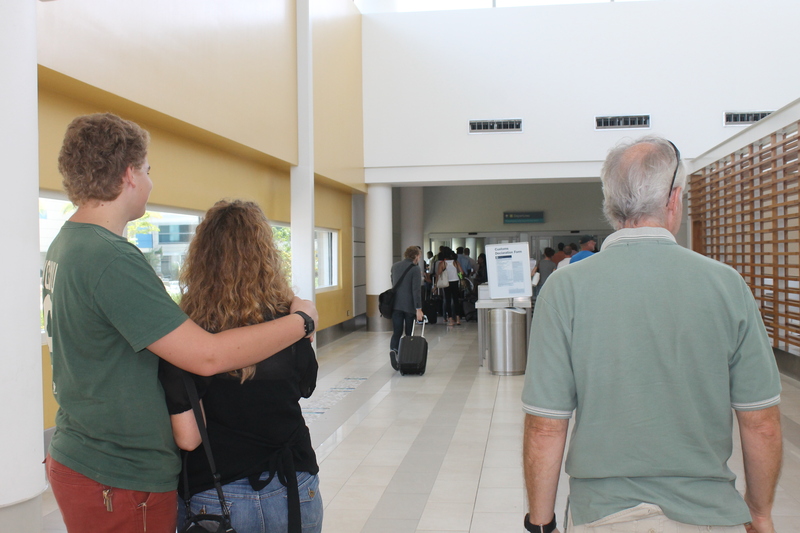 To be honest, even the phrase “see you later”, though intended to soften the blow, did little to give comfort to this mother’s aching heart on Friday afternoon, June 6, as I embraced son number 3 and then watched him walk the long corridor towards the TSA clearance area at the Nassau, Bahamas airport on his way to board a plane headed back to his passport country. My eyes saw a handsome, mature young man walking away, but my heart saw a sweet little boy going off into the big world all by himself. It was all I could do to keep myself from running after him. Recently I read a blog of a missionary woman who said the pain of childbirth is only preparation for the real pain that is experienced when having to let go of a child 18 years later. We raise our children for this and know it is coming, but it still takes us off guard and hurts a lot. Logan made it safely to Minnesota and is enjoying the cooler weather and connecting with family and friends. We are adjusting to our new way of life. God is good, and life is full and busy. 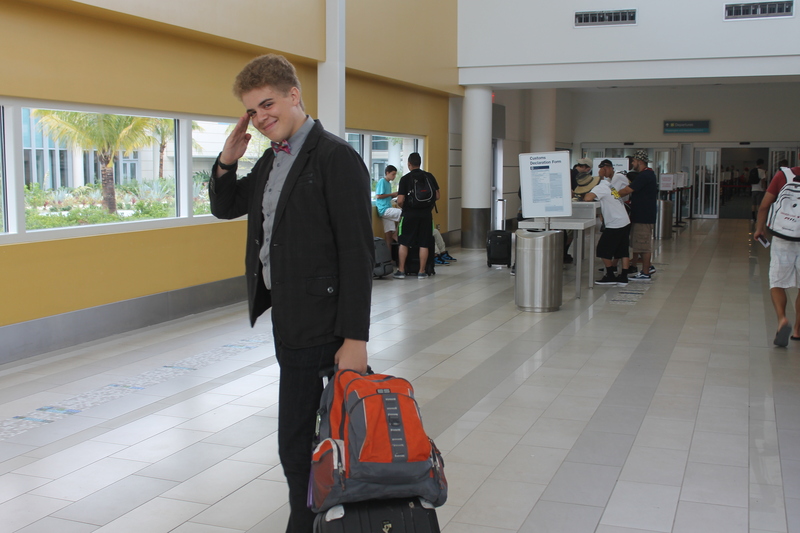 As if one major good-bye was not enough, we made another trip back to the airport on Tuesday, June 10th, to put Zachary on a plane for a 5 week trip visiting grandparents in Indiana, his best friend in Tennessee, and his aunts/uncles/cousins in South Carolina. Zachary is enjoying his time and calls everyday to make sure we (me more than his dad) are doing ok. Although we miss him very much, we know his absence is temporary and are so glad he has this opportunity to be off the rock and relax with family and friends. Once again I point to my reliance and trust in the comfort of my heavenly Father. This next stage of life, though hard and painful for me, is something I can handle because of God’s grace. I testify, indeed “All is Well”! A lot is still happening at Adventure Learning Camp. Much of what we are doing are not things we can photograph, so you won’t see/hear about them in the picture update in Part 2 of this blog (to come out later this weekend). Here are a few things we continue to work on. Upcoming teams: We are working on getting ready for 3 weeks of Mission Discovery. 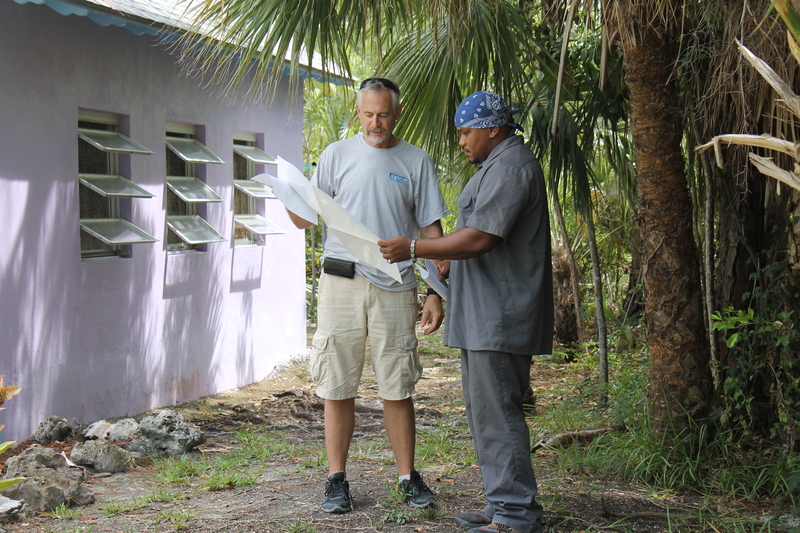 Mission Discovery is bringing mission teams here to serve in various areas around the island. Following Mission Discovery, we will be hosting a Myron Rolle Foundation Wellness and Leadership Camp July 13-17 and a mission team from Florida the following week. It is going to be a busy summer. Tim is working with Scott (a contractor we have used in the past) on getting a bid for construction of a new Cabin next to Cabin 1. Camp improvements: Tim is waiting for the board to provide input and final approval on the plans for completion of a second staff cottage and construction of a new cabin. As soon as the prints are completed and approved we hope to commence work on getting the structures constructed. We are also looking forward to getting the ball rolling for the front gate relocation as well. Late Summer/Early Fall Events: There is always work to be done on preparing for future events and groups. We are looking forward to our second annual young adult weekend in October. Plans are coming together for that event. 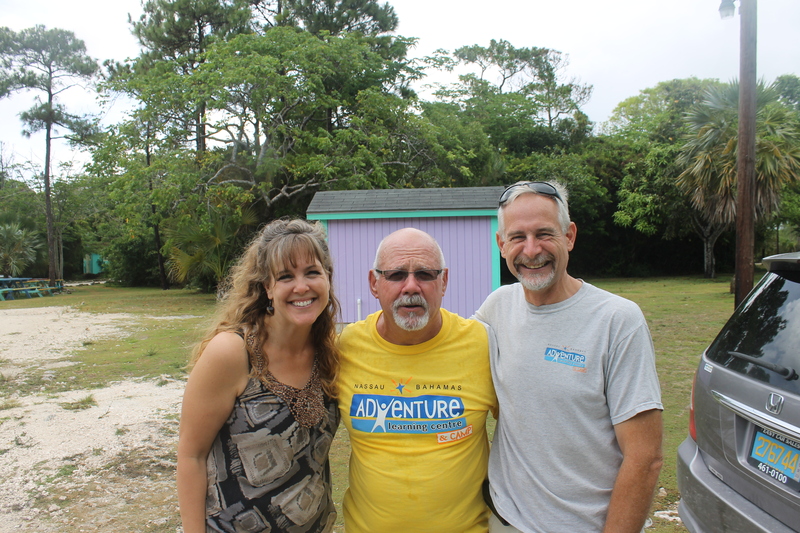 We are also in the works of hosting a Joy Bible Camp (the current Adventure Learning Camp) reunion in September in an attempt to reconnect with Bahamian people who used to attend the camp as children. It is our hope that we can glean information and support from many who have attended Bible Camp in the past as we make plans to build a children’s camp ministry in years to come. Late Fall: Please pray with us as we seek the Lord’s guidance. We are considering taking a lengthy ministry related trip to the United States sometime late October to early December to raise personal support, promote the Adventure Learning Centre and Camp, and recruit facilitators and other staff. We would like to visit churches/individual supporters on the East Coast (North Carolina, Pennsylvania, New York, Connecticut) and upper Midwest (Detroit Michigan, Ontario Canada, Toledo Ohio, Portage Michigan) before landing in Indiana to visit family for Thanksgiving. We do not plan to stop in Minnesota/Wisconsin on this trip because we were there twice last year but are hoping and praying our boys can come to Indiana to see us (we haven’t seen Andrew and Katie at all this year). In praying for wisdom with planning this trip, please pray that God grants us wisdom to make the right decisions of where to go and who to connect with and wisdom on how to present our ministry and promote the Adventure Learning Centre and Camp. Pray that God would also provide the necessary funds for us to make this trip. For the three of us to travel the area we need to cover, we are looking at $3000-$4000 in travel expenses. That is a lot of money we know, but we are confident that if God wills us to take this trip, He will provide the means to pay for it. Good-bye, Tom. We are going to miss you! In early June, our maintenance manager, Tom Schafer, retired from his position here at the Adventure Learning Centre and moved back to Fort Lauderdale, FL. We are going to miss Tom. He was not only a colleague and fellow laborer, but he was also a neighbor and friend. With Tom’s departure, Bob Balson has taken over maintenance of the ALC&C. The maintenance position is a huge responsibility and is more work than one person can handle. The Centre is also in need of facilitator staff for next year. Facilitators teach and maintain programming at the Centre throughout the school year. With Logan’s departure, the ALC&C is in need of someone who has Information Technology and Computer skills. If you or someone you know have ever had the desire to work in a full time ministry position serving the Lord, and you have skills in IT/Computers, maintenance/construction, automotive, or teaching children, then the Adventure Learning Centre and Camp could use your help! Contact us and let us know your interest. We would love to talk to you. It has been a while since we posted update pictures. Since we are wanting to get this blog posted tonight and do not have the time to upload pictures this evening, we will be doing the picture update in a separate blog. Check back later this weekend for pictures of what has been happening the last two months (yes, that is how long it has been since our last picture update). Have a great weekend. Thank you for your support and interest in our lives. This is probably going to be the shortest blog we have ever put up. We are working on an update blog for next week, but since it has been over a month and a half since our last blog and it is going to be a rather lengthy post, we thought we would put this blog announcement up first and then do the regular update blog next weekend. Two significant, noteworthy events in the Seeley family happened last weekend, and we would like to announce it here and publicly congratulate our two middle sons. 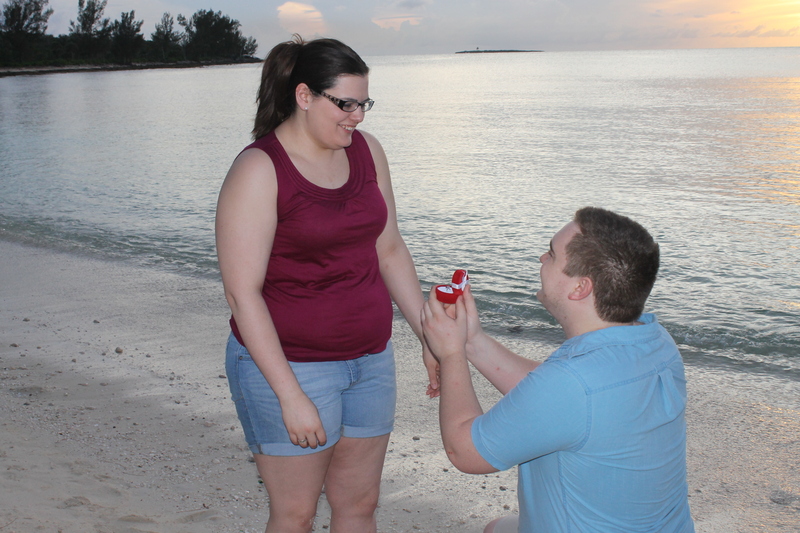 As if a graduation wasn’t enough for one weekend, our second son Garrett took the opportunity of being on a tropical island paradise to propose to his girlfriend Abigail Huffman. 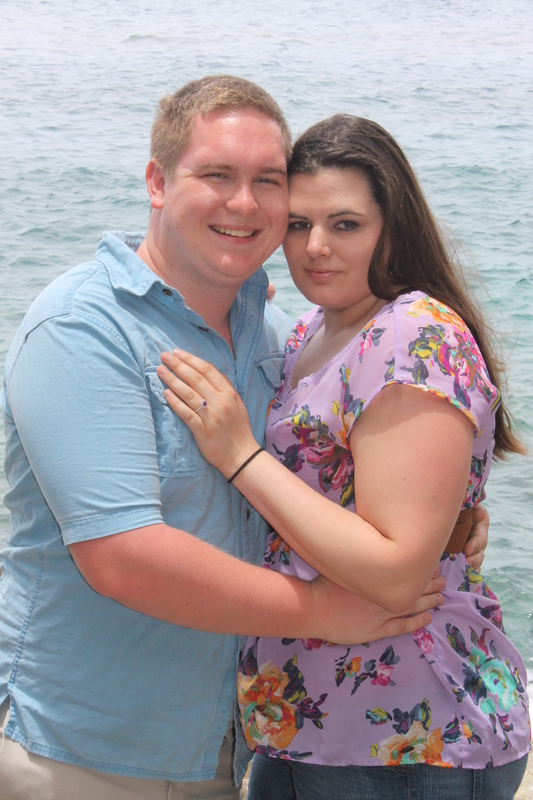 Garrett and Abby are planning a June 6, 2015 wedding in La Crosse, Wisconsin. Congratulations, Garrett and Abby! Congratulations, Logan and Garrett & Abby!